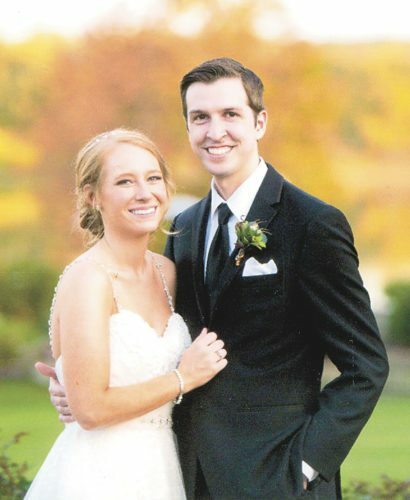 NEGLEY – Jessica Morris became the bride of AJ Huff on Sept. 12, 2015 , officiated by Minister Jeff Schoch. at the East Palestine County Club in Negley. 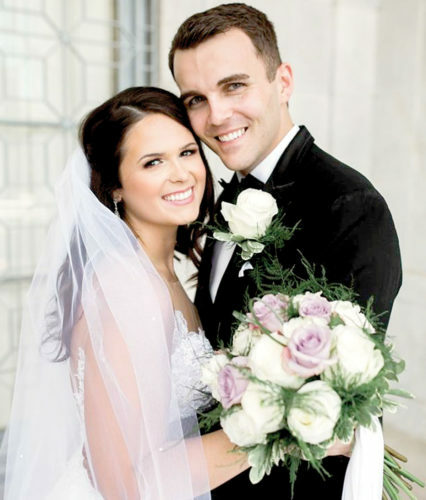 Jessica is the daughter of Rob and Julie Morris of Lisbon. Grandparents Peg and the late Sonny Dotson of Lisbon and Sharon and the late Rob Morris Sr. of Salem. AJ is the son of Jamie (Jenny) Huff of Lisbon and Sharon Huff of Negley. Grandparents Dail Ann and the late Albert Huff of Rogers; Art (Mary) Morjock of Columbiana, and Donna Morjock of Petersburg. 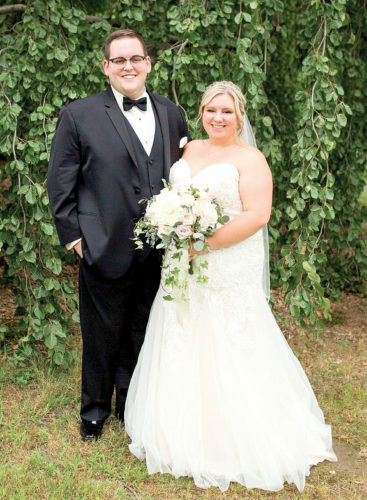 Escorted by her father, she wore an ivory chiffon lace gown with her cowgirl boots. 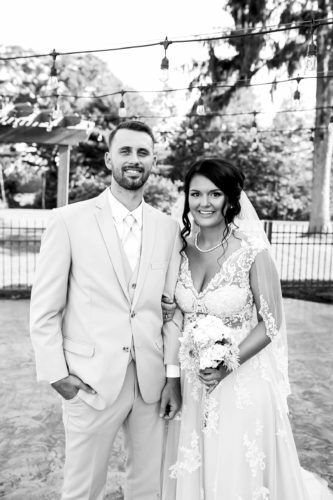 Her girls, maid of honor Brandi Kaufman, Korie Brittain, and Heather Hostetter all wore a biscotti chiffon tiered dress along with their boots. The groom and his guys, Best Man Chris Fercana; Rob Morris III, and BJ Hostetter wore blue jeans, an ivory shirt, and their boots. Troy, the bride’s son, wore blue jeans, blue plaid shirt, his boots and carried a “Here Comes My Mommy” sign. 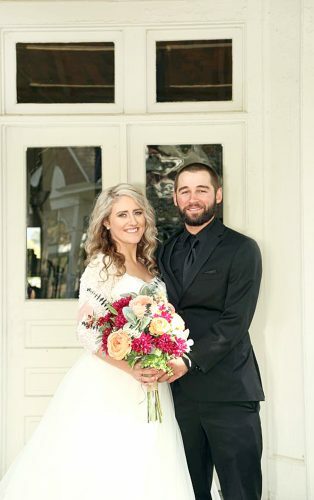 A county burlap and lace reception with 150 family and friends followed the ceremony. 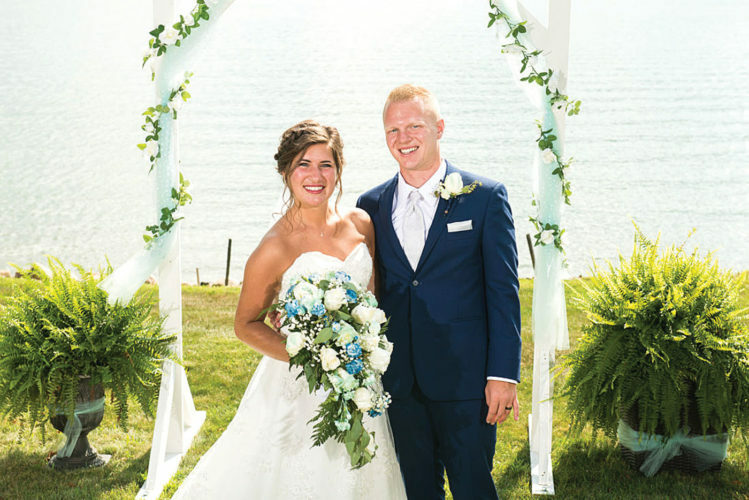 After a honeymoon cabin retreat to Sugarcreek, the couple and their son resides at the Huff’s farm in Rogers.